'Memphis in June' in late May! ‘Doing My Black Thing’ from Juwon’s CD : Life Force Music. 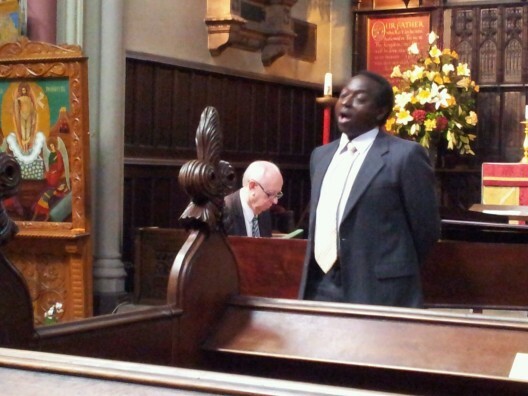 Must thank Juwon for letting me accompany him on my last official concert ( May 23rd 2012) at St Dunstan-in-the West in London as their concert organiser for some four years and some 200 concerts. 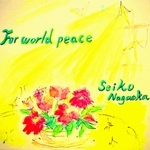 Above is a track from his great CD released this year (2012): ‘Life Force Music’. Various examples found of his recordings and to purchase his CD direct from Juwon at:-www.juwonogungbe.co.uk Any problems then contact us. Thanks Juwon. Above is a photo recording our rendition of ‘Memphis in June’. But right now Juwon is not in Memphis but Virginia (22.8.12) USA. See you when you return. Keep on doing your ‘black thing’. It’ll do! Godfrey K.
And thanks to Father William at St Dunstan for all those years who has now also departed for the ‘Zoo Church’, Regents Park. 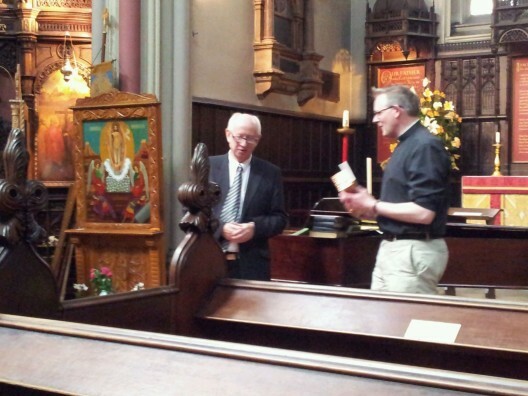 Here he is presenting nay insisting on kindly parting gifts and getting his church back. As always more appreciated than spoken words can say. We had something good going there for a time and now to other worlds anew. 2011 AJSW Thank You! – 15th Anniversary Year! The year finished with about the same number of AJSW concerts as the previous year’s 76 concerts at all venues…those mainly used being some 60 at St Dunstan,11 Bristol Cathedral, 7 St James,Piccadilly and two at the International Concert venue in Bristol; St Georges’. The 2nd August Music Festival at St Dunstan-in-the-West was another huge success but I had precious little help and found myself opening the church, organising the advertising and literature over 16 concerts which grossed a thousand pounds netting some £600 in profit and the year’s gross takings were £4,000 with the estimated profit of some £2,000 over from around 60 concerts. There were so many wonderful musical memories at all venues we organised for. At St Dunstan pianists Akiko Murakami, Emiko Miura, Maiko Mori played more than one memorable concert and Hiroko Yamamoto brought two excellent soloists in consecutive weeks with Helen Wills on flute and violinist Samuel Kopelman. Nina Leo emerged as someone special with an engaging personality,determination and talent to match. My teenage piano hero Neville Dickie playing his rags and stride piano repertoire delighting those that heard him during the August Music Festival. Violinists excelled along with Samuel Kopelman there was also Midori Komachi who we have had a long association with now, Korean Jung Yoon Cho, the delectable Rachel M Weiser from Leichtenstein, Ryoko Harada returning for a short London visit. But it was the cultural shock of hearing the moving but bizarre arrangement of ‘Silent Night’ by Russian composer ‘Schnitke’ played beautifully by, new to us, Megumi Nagae who performed two concerts at St Dunstan for us including this tortured arrangement that reminded me, at least, that the night-time is not ‘Holy’ for some. Also new to us but remarkable was the young cellist Aiko Mori playing three concerts, one with her sister Aisa Mori and being one of the ’15th Anniversary’ musicians at St George’s on November 10th. And we had a Chopin’s first piano concerto but played by Kiyo Takahashi supported by a string quartet lead by Ayako Yamazaki before she headed for a mountain region in Italy to play it supported by a full orchestra. St James, Piccadilly is best remembered for all the musicians being equally as good as each other! Chisato Kusunoki’s concert stood out as St James kindly pledged donations that day should go towards the victims of the ‘Tsunami’.. Ryoko Harada’s ‘Moana Trio’ Trio was short lived as she was shortly to return to Japan for an orchestral position….the saddest part of my role is seeing ambitions curtailed by circumstances. Bristol Cathedral is always contemplated with some trepidation due to the long hours spent on a coach going to and fro…..up to 6 hours and off early in the morning. But the sheer size and beauty of the cathedral and the acoustics cause the musicians to give extra. Kumi Matsuo’s first solo recital for us (after many accompanist roles) was remarkable for its power and beauty. It was not surprising she was to go on this year to win an important international piano competition in Serbia. Emiko Miura also played a moving concert tinged with a jazz influenced composition of Russian composer Kapustin. Horia Vacarescu’s violin playing was aggressive and full of skill ably supported by pianist Chiho Tsunakawa. The undoubted talent of Jun Ishimura brought attention deficit challenges as she went 30 minutes beyond her normal concert time. 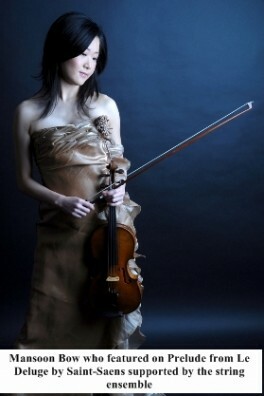 Jun seemed in a different world although much praised for her performance.. Kazue Yanagida’s rehearsal was caught on camera and deposited on YouTube and one of the best was Ayako Yamazaki who this society first organised a concert for in 2001 down in the Wiltshire Town of Warminster. Mansoon Bow’s violin was evident at all venues we organised for and her campaigning for music in churches in Japan reveals not only her musical talent but intelligence and social awareness. Regular Venues:- St Dunstan-in-the-West, Fleets Street, London – Bristol Cathedral – St James, Piccadilly, London – St. George’s – Bristol. High Spots:- It has to be our 15th Anniversary Concert at St George’s, Bristol on November 10th. All of the musicians who took part (listed below) and the St George’s staff as well as those that helped before, on the day and after….even a few fans who made the trip made it memorable. It would be wrong to single out anyone. Even the train journey down and back, one musician said, was like a ‘school outing’. We have a few tracks on our Home Page and Blog and there will be a Souvenir CD of it….sorry it is not available yet. So many good things have come from it to build on in the future. Thank you to all those that took part. As well as ‘looking on’ at what other musicians do ‘we’ made a musical contribution of our own. From it came the ‘8 hands on 2 pianos’ group making its debut this year at St George’s on November 29th under the AJSW group title:- ‘Inzpir8tion’. 15th Anniversary Concert at St George’s, Bristol on November 10th. For individual performance :- I am increasingly loathe to single anyone out in case all the rest think they have some failings… and it is never that! As an organiser, an enthralled listener and a ‘fan’ that few would notice or ever know lives on in my memory. If the Archbishop of Canterbury can start one of his admirable speeches by mentioning a pop song (‘Dedicated Follower of Fashion’) allow me a much older one ‘Little Things Mean A Lot’. If Yuki Negishi had not enterprisingly known of and first contacted composer Alexander Rosenblatt he would not have kindly allowed us use of his ‘Japanese Fantasia’ for our ’15th Anniversary’ concert which led to his Honorary Patronage and so many other things that have stemmed from it. If Kazue Yanagida (strings) had not worked so hard in tandem with Akiko Murakimi (piano) then the ’15th Anniversary Concert’ would not have even ever happened let alone be as good as it was. Someone who did not perform but made a marked difference when her own composition and words Phil (web design) used for a message of sympathy for all the victims of the ‘Tusnami’ tragedy……Seiko Nagaoka was due to fly over for a short visit and performance at St Dunstan on March 16th (her poster was already up on the railings) had to curtail her plans as the Earthquake / Tsunami struck. She lives near the Tohoku area which was so tragically affected. Wooden Spoon:- Those not understanding the term…’a wooden spoon’ is a term used for someone coming last or acts in such a way as to be the least considered for praise. The AJSW primarily lives within the community of musicians we care for and support most. In the past year some of the talents visiting our shores, or those that have been here for many years, wish to remain displaying their talents to the benefit of that mix of peoples of the world that we are. The musicians bring money into this country. Into the music colleges where they are tutored and into the community. In many ways they enrich our social and economic life. I do not like to hear of them lumped to-gether with ‘crooks and con men’ and excluded from a country they have come to love and respect yet are rejected under the misnomer ‘Foreign’ as if they are so much trash that they can be spoken of in the same breath as thieves, drug dealers and pimps that are entitled to come to these shores because of an administrative, trading and political arrangement between European countries currently run by an unelected elite. One year lost in the life of a young person can be a lifetime lost resulting in thwarted ambitions and opportunities. The past year has revealed the breakdown of honesty and good ‘government’ in so many areas of the economic and social caring life of the UK that few would be left outside of prison confinement if included were those that ‘aided and abeted’. ‘They’ knew what was going on and ‘they’ did nothing about it until the crimes became so obvious and people became so demanding of justice being seen to be done that ‘they’ had to be put on show to explain their actions. The Iraq Enquiry (we are still waiting for its conclusions), The Levenson Enquiry into Press Hacking revelations, The Banking Crisis (another enquiry), Police Corruption, another War (Lybia), the breakdown in the Eurozone. All was avoidable but power and greed had no break on its excesses. More people went to jail for pinching a few valueless objects during the Tottenham riots than there has been so far through all of the above money squandering incompetance and dishonesty. As a result of all this I see talented, pleasant and well mannered individuals have their hopes and dreams shattered through no fault of their own. Condemned as ‘unwanted’ as a political ploy to blame ‘immigration and the jobless’ as the cause of our ills. Who can anyone point the finger at with such a panorama of targets? So I will boil it down to two goverment departments. The Home Office and ‘Arts and Culture’. The Home Office Minister (Theresa May) is running it no more efficiently than pervious incumbents and sets the quota system for Visa applications, and the ‘Arts’ Minister is Jeremy Hunt who believed the Murdoch Empire was a right and proper organisation to expand into other areas of our lives to enrich himself and his empire. Jeremy Hunt’s connections with Japan are well known. Wether he is a friend of the Japanese (I mean the Japanese people not the Japanese Government) is conjecture for those that know him. The two departments have combined to cause misery and economic incompetance and administrative gobbledegook to people we should welcome not treat with suspicion. To even consider or use the word ‘Hero’ in any context after such a year blighted by the earthquake and tsunami in Japan and then nuclear plant disaster that reminded us all that Nature always has the final word and, if I may, the proven ‘Word’; Hero is a word made almost meaningless against the many acts that could fall within its meaning….acts of human kindness, compassion, bravery and selflessness. There were those that died making sure first their loved ones, friends and neighbours were safe. Perhaps who they are will never be known or only to a few who owe their lives to those that gave themselves so others could live. In one of the harrowing pieces of film footage a little girl is looking over the rubble that was once her home and neighourhood. Her parents gone. The little girl is suddenly delighted as she finds a toy she loved so much found in the rubble. She runs back with it and smiling holds it up to show the companions who took her there. To have something left is better than nothing at all. Anything! It helps us remember even if ‘we’ the onlooker into a persons life may never know what those memories are. The British Legion sent out a wooden cross to many people inviting them to send it back with a donation and placed on a memorial site to remember an unknown soldier. I didn’t do that. I kept the cross and placed it where I could see it every day and remember all those that gave their lives so others may live and remembering they too wanted to live just as much as those they saved. devastation and the many heroic acts that might have been. So perhaps it is time we placed his memory in the context of the terrible tragedy of last year. Some say things are inevitable….our futures are set. But for me if the USA did not elect George Bush junior who wanted to blame Iraq for the World Trade Centre (9 / 11) and Donald Rumsfeld wanted ‘more sites’ beyond Afghanistan to drop their bombs on, and if PM Blair had not been the persuader he was yet naive, and he had not been so in thrall of the USA and followed them wherever they took us, then Oku san would not have been sent to Iraq and would have no doubt still been alive to-day. The Tsunami and the Earthquake preceding it was not avoidable…..but the effects of it were to a degree. In the same way ‘mans conflicts’ as with nations are inevitable but many of the resulting tragedies avoidable. “Violence by its very nature has tragic human consequences. It is particularly ironic, however, when deliberate violence claims the lives of people who were present in the theatre of conflict because they were trying to give its victims hope. Ambassador Katsuhiko Oku* and his colleague, Masamori Inoue, were attempting to do just that when they sacrificed their lives near Tikrit on their return from a conference on the reconstruction of Iraq”. Reports stated the two men stopped on the road for a beef burger …..had they not done what you or I might do any day of the week in complete safety and without fear or concern, both would still be alive. Katsuhiko Oku was born on January 3rd, 1958. He died on November 29th, 2003. Tsze Yenn Yong, Rachel M. Weiser, Martha Walvoord. 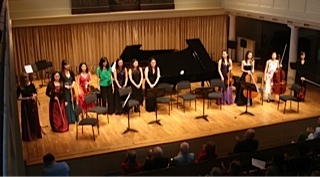 Sebastian Meuller Students:- February 2nd Ryoko Harada, Jessica Niggli, Jennifer Murphy, Camille Gouton, Bianca Fernandez. Tsunami Appeal Concerts:- March 16th RAM Musicians organised by Shio Osaki (Raising £295 for Tsunami appeal) at St Dunstan. March18th Chisato Kusunoki (piano recital) at St James, PIccadilly. nb Views expressed in the ‘Review’ are my own and not necessarily held by all members of theAJSW. Thank you to Advisors Keith Haines and Jackie Wright for advice and proof reading. Posted in Reviews | Comments Off on 2011 AJSW Thank You! – 15th Anniversary Year! 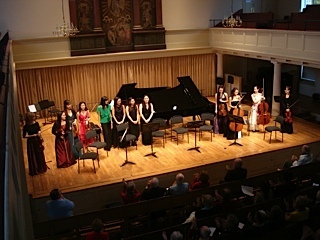 On November 10th 12 musicians presented a showcase at St George’s International Concert Venue in Bristol. 10 of the musicians were Japanese. The concert opened with Mozart’s composition the 1st movement of which we present here as a tribute to the string musicians of which there were 8…..4 violinists, 2 violas and two cellos. It is a live recording…without any doctoring of the recording. The pianists performing will be posted up on site in due course. The wonderful composer and arranger Alexander Rosenblatt’s ‘Japanese Fatasia’ for ‘8 hands on two pianos’ played by Akiko Murakami, Hiroko Yamamto, Yukiko Shinohara and Kumi Matsuo for the AJSW 15th Anniversary Showcase Concert at St George’s, Bristol.